Whatsapp is the most widely used instant messaging application which has over 100 million users. Millions of text messages are sent & received every day through Whatsapp. The best thing about Whatsapp is their easy user interface which attracts the user to use it; it has some other cool features that’s why this is the most used instant messaging application. As recently Whatsapp has launched GIF feature to their users which is quite awesome, and we can send GIF’s directly from the Whatsapp chat without even downloading them manually. Recently Whatsapp launched a feature in which you can pin the top three important chats at the top. So as per other messaging apps such as “Messenger” & “Hike,” Whatsapp is also going to have Stickers feature soon in upcoming updates. Stickers are the best way to express feelings when you’re not in the mood of typing long texts then you can simply send the sticker which suits the situation or what you want to explain. Recently, @WABetainfo, which tracks beta releases of the Whatsapp has claimed that Whatsapp is going to have the Stickers feature soon in upcoming updates. So, we would have to wait a bit more to get Stickers feature in the Whatsapp also. Well, it’s not officially confirmed from the Whatsapp team yet. 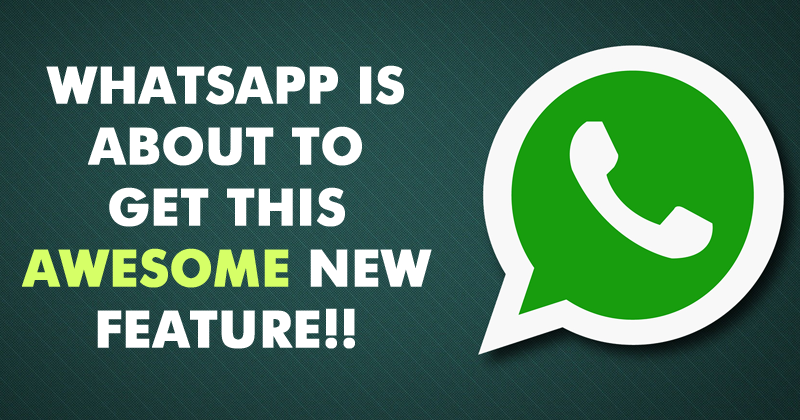 But it’s likely to launch in upcoming updates of Whatsapp. However, some people are claiming that it will ruin the chat experience for the users.